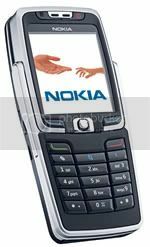 Nokia E70 coming soon in 2006. At first glance, the Nokia E70 looks like a modern smartphone. Open it up and find a full messaging keyboard for fast and easy thumb typing, a generous colour screen for viewing emails, plus attachments (document, spreadsheet, presentation, PDF viewer and ZIP manager) and an editing function (document, spreadsheet, presentation) for staying up-to-date with the inbox. Like the Nokia E60 and Nokia E61, the Nokia E70 supports a common set of applications like advanced voice and email. Nokia will offer two versions of the Nokia E70 – one optimized for mobile networks in Europe and Asia and one optimized for mobile networks in the Americas, yet both versions are able to roam in GSM networks across regions. The Nokia E70 will be available in the first quarter of 2006 worldwide.